One year ago, Mumbai’s coolest live music venue, blueFROG, hosted a ground-breaking concert featuring a combined choir of Songbound children and the Choir of Jesus College, Cambridge. Over the course of a week, the entire 30 strong student choir worked non-stop with five of our children’s choirs in preparation for the special event. Coinciding with Holi, the Festival of colour, the theme was ‘The Colour in Us’. 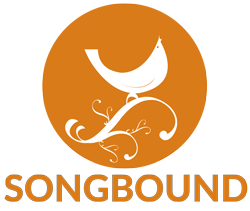 To make the project a reality, Mark Williams, the Cambridge choir’s visionary director, encouraged his students to raise funds in order to ensure that Songbound could continue its work long after they left – they raised a huge £10,000! With the fondest memories we post this video and look forward to a return visit very very soon.